DESCRIPTIONDo you like helping U.S. Intelligence Community agencies implement innovative cloud computing solutions and solve technical problems? Would you like to do this using the latest cloud computing technologies? Do you have a knack for helping these groups understand application architectures and integration approaches, and the consultative and leadership skills to launch a project on a trajectory to success? Amazon is looking for Systems and Software Development Engineers to build the software that operates one of the world’s largest and most complex networks. Tens of millions of customers rely on Amazon’s network for using our retail websites, accessing content on their Kindles and building applications and businesses on top of Amazon Web Services (AWS). Our goal is to become The Infrastructure Platform for the world – achieving this goal requires high-leverage, massively scalable software systems. Our success depends on our world-class network infrastructure, and our network depends on our Network Availability teams. The Link Lifecycle team builds critical software that touches our network devices to validate, maintain, or fix our network. 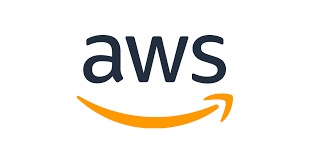 · You are interested in being part of a high-bar team with global responsibility for the Network Availability software used across all of Amazon’s businesses. · Solving problems at scale excites you. · You don’t implement specs from analysts and architects – you talk to your customers and design solutions to their problems. You automate and innovate. · You do not push just one technology agenda – you choose the best tool for the problem at hand. · You believe that the craft of software engineering is about writing code right the first time. For you, code reviews and automated testing are not chores – they’re a core part of writing great software. · You don’t throw your code over the wall. You launch it, own it, support it and make it incrementally better for the benefit of your customers. · You enjoy working in a flexible, fast-paced, collaborative team environment. BASIC QUALIFICATIONS· Bachelor's degree in computer science (or equivalent) is required. · Strong customer orientation with ability to work directly with customer/product owner to define requirements and the associated acceptance criteria for user stories. · Strong communications skills both written and verbal are required for this role. The ability to present complex ideas in a convincing and understandable manner are a key requirement. · Demonstrated ability to work in a team environment and as part of a cross-functional team with the ability to influence others as a senior technical contributor. · Graduate degree a plus. Amazon is an Equal Opportunity – Affirmative Action Employer – Minority / Female / Disability / Veteran / Gender Identity / Sexual Orientation.